'Supernatural' and 'Scooby-Doo' Crossover Episode Airs This Thursday on The CW - Horror News Network - The Horror News You Need! In a cool crossover moment between current pop culture and 1970s nostalgia, this Thursday March 29th’s episode of The CW’s hit show Supernatural will be like no other one before it. 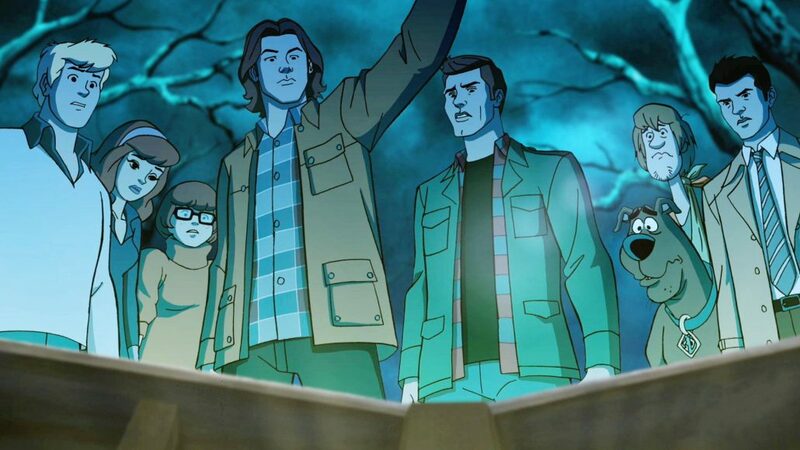 Castiel, Sam and Dean will step into the animated world of the timeless cartoon classic Scooby-Doo and join forces with the Mystery Gang to solve an important case. The mashup is an interesting and innovative concept from the show and the network, similar to Homer Simpson’s venture into the live-action realm of humans back in The Simpsons‘ 1995 Treehouse of Horror episode “Homer3.” Only reversed. To preface and celebrate the episode, The CW has released an exclusive “making of” video on their YouTube page called “Scoobynatural” (which can be seen below.) As the featurette shows, series regulars including Jared Padelecki and Misha Collins lend their voices to the cartoon-ish versions of their Supernatural characters for their big run-in with the crew of the Mystery Machine. Show co-runners Andrew Dabb and Robert Singer had previously divulged plot points and details for the ground-breaking episode to Entertainment Weekly last fall. “It’s going to be an episode of Supernatural with Scooby-Doo in it. It’s not going to be an episode of Scooby-Doo with the guys in it. It’s more adult than your average episode of Scooby-Doo,” Dabb said. So go grab some Scooby snacks, and check out the featurette to get prepared for this killer crossover. This Supernatural episode, also entitled “Scoobynatural,” will air this Thursday March 29th at 8pm Eastern on The CW.